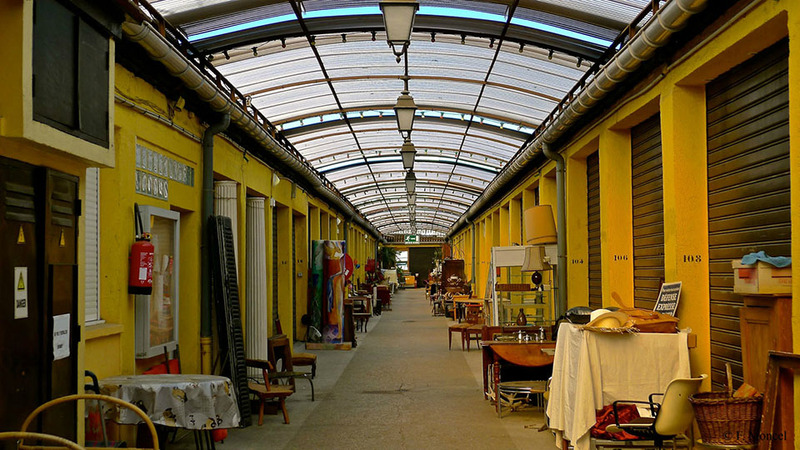 While it’s not the only flea market in Paris, Les Puces as it’s known by locals is by far the most famous and worthy of a visit. Located on the outskirts of central Paris, the flea market is divided between 14 sub-markets offering a mix of antiques, wares, home décor and treasures. Marche Paul Bert Serpette would be one of the best places to start for those looking for high-end décor and choosy antiquarians complete with Ma Cocotte for a mid-day stopping point that’s a showy eatery designed by Philippe Starck. As for individual dealers, look for Aurelien Jeaunneau, Mickael Najjar and Yaëll Bounan and Archibald Pearson in Paul Bert and Marie Anais Levesque, Marion Attanasio and Hugo Grenier in Seprette. The poshest flea market you’ve ever been to, Les Puces is a designer’s dream of rare finds but with price tags that can be as expensive as shopping in a designer showroom. Know what your buying and don’t be afraid to ask for an appraiser’s letter if buying vintage, high value pieces. Saturdays and Sunday afternoons are the busiest times for the market, with Mondays that’s are typically closed for most dealers.